From the earliest 19th-century goldfield cattle-drives to the square dance fervor of the 1940s and ‘50s, Barkerville has been proud to play venue to more than 100 years of cowboy culture. 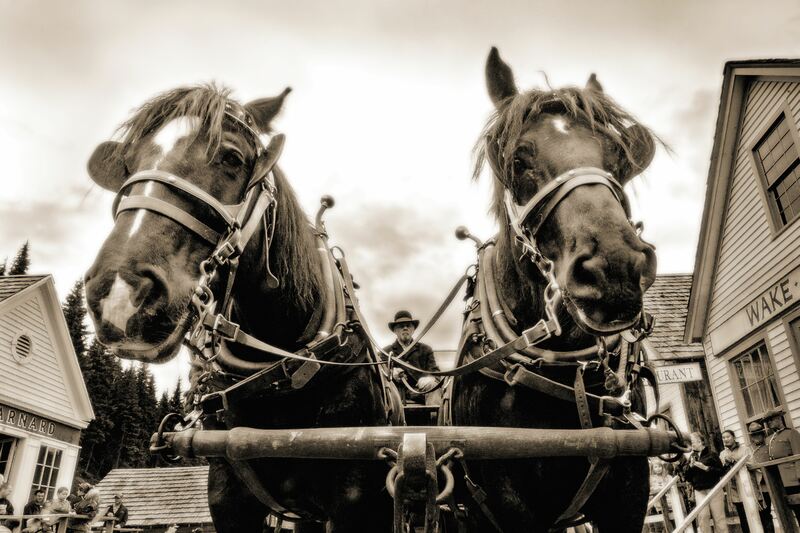 This September 5th to 7th, the National Historic Site will once again honour a century of cowboy music, spoken word, and dance at Barkerville’s annual Cowboy and Drover Jubilee. The weekend-spanning Jubilee starts Friday, September 5th with registration for the 4th annual “Northern Star” amateur singing competition (sponsored by Barkerville’s own House Hotel) available from 10:00 am until 4:00 pm at the Visitors’ Reception Centre, along with general information about Jubilee activities. The top prize at this year’s Northern Star competition is a family vacation package to Barkerville for 2015, four hours of professional recording time at Vinyl Deck Studios in Prince George, and a $100 gold nugget. There will be additional prizes for the second, third and fourth place contestants. An informal “welcome” party at the House Hotel Saloon kicks off Friday at 6:00 pm, with open-mic music and several special guest performances slated throughout the evening. Admission to the party is free (and entrance to Barkerville is by donation after 3:00 pm) and food and beverage will be available for purchase at the saloon. “Northern Star” registration will also be available from 10:00 am until noon at the Visitors’ Reception Centre on Saturday, September 6th, and from Saturday at noon until 4:30 pm there will be a full slate of musical performances by familiar cowboy troubadours like Bud Webb, Ed Wahl, Jeremy Willis and Gordie West, as well as a variety of special guests like Joey Only, the Hanson Family, and inaugural “Northern Star” winner Terry Wozney at four different Jubilee stages – Barkerville’s Methodist Church, St. Saviour’s Anglican Church, the Kelly Saloon, and the House Hotel. The official finals of the “Northern Star” competition will take place at 4:30 pm on Saturday at the Methodist Church, and the winner will be invited to participate in a complimentary Cowboy and Drover Showcase revue and boot-stompin’ cowboy sing-along featuring all of Barkerville’s musical guests at 6:00 pm at the Theatre Royal. From 7:30 pm until late the House Hotel Saloon will once again play host to more complimentary Cowboy shenanigans, featuring the sensationally sweet singing of the Hanson Family and guests. Everyone will have a chance to repent their evening of suds and sin at 11:00 am on Sunday, September 7th, when Gordie West hosts a “Cowboy Church” service at St. Saviour’s, built in 1869. 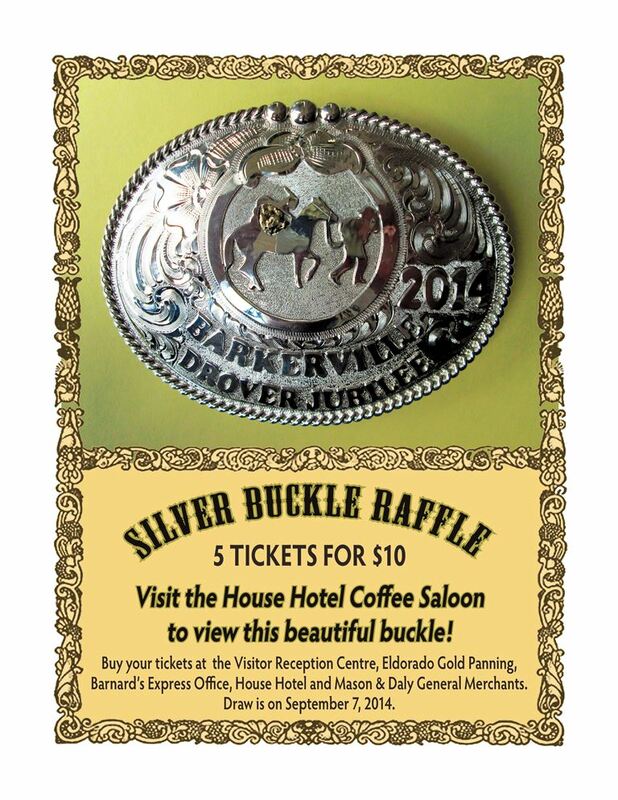 For a downloadable (.pdf) copy of the 2014 Barkerville Cowboy and Drover Jubilee schedule, please click HERE.